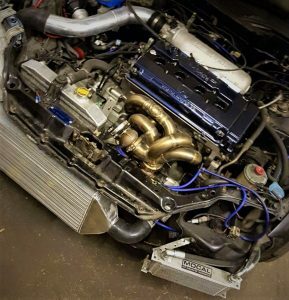 With experience working with a variety of Honda’s, including Integra DC2/DC5, Civic EG6/EK9/EP3/FN2/FK2, Accord, S2000, Legacy, Concerto, Jazz etc, we have a vast knowledge of the mark. We have worked on many of the different engines, including B-series B16, B18, D16, K-series K20, F-series F20, H-series, H22. We have carried out engine rebuilds and tuning, catering for naturally aspirated, to supercharged and turbocharged modifications. 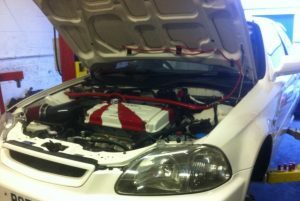 Its not only the Engine and gearbox’s, we can also carry out suspension modifications and adjustments, as well as wiring modifications for aftermarket ECU’s, intercooler manufacture & fitting and charge pipework and exhausts.